Funding Source Code 31 is required for Non-funded confirmed student enrolments. This funding code is for students who have withdrawn from a programme before completing 10% of the programme but for whom fees have been received. It is best to refer to the specifications from TEC Confirmed Student Enrolments regarding this change. 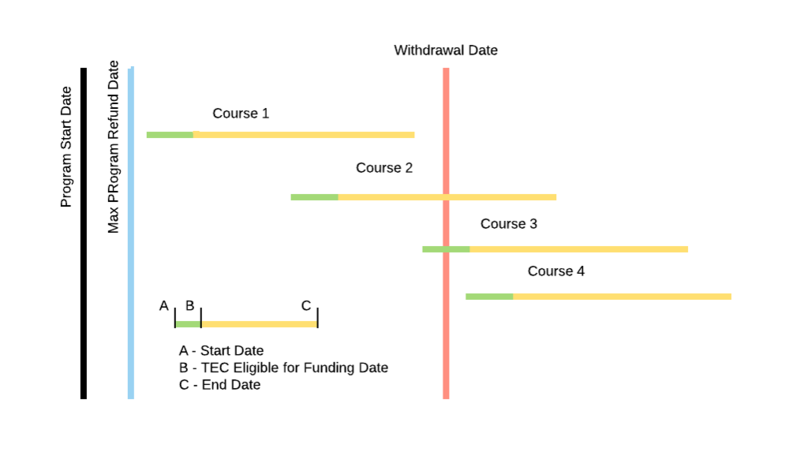 Any Unit Enrolment where the withdrawal date is between the Refund Date and the TEC eligible for funding date. 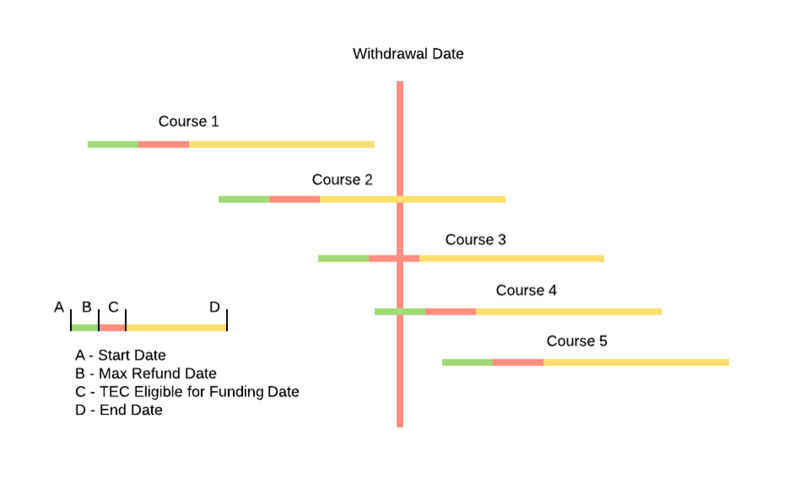 The requirements are different depending on whether withdrawals are done at the Course (Wisenet Unit) or Program (Wisenet Course) level. See the following scenarios to assist with determining what values to set for each Unit Enrolment.